Full refund, less a $75 processing fee, will be issued for cancellations on or before October 1, 2019. 50% refund will be issued after October 1, 2019 through October 18, 2019. No refund will be issued after October 18, 2019. Conference cancellations must be in writing and will be handled directly by the RFC office. Please notify Sr. Kathy Kandefer, BVM by emailing at kkandefer@relforcon.org. Sleeping room reservations will be accepted by the hotel until October 1, 2019 at, 4:00 p.m. CST. The rate for a Single / Double occupancy room is $125.00 per night plus tax. The Crowne Plaza Louisville Airport requires a credit card to secure your room and will also request one upon check in. The hotel will honor sleeping room cancellations received 24 hours prior to arrival. Cancellations after this time will be charged for one night’s stay. Sleeping Room Cancellations or Changes: Re-enter the site for changes or cancellation. The Registrar will be notified of any changes made. 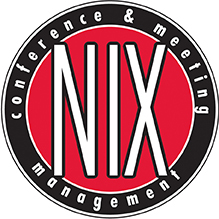 You may also send your cancellation request in writing to registrar@nixassoc.com.